Ever wondered how much time you spend staring at screens? You’ve probably never given any thought to exactly how much time you spend gazing, gawping, glowering and glaring at screens on a daily basis -- but with TVs, computers, tablets and smartphones being such a major part of our lives, you probably won’t be surprised to hear it’s a lot. Virtual meetings specialist PGi was curious to find out exactly how much time the average person spends a day looking at various screens and has created an infographic which reveals the shocking (or, depending on your viewpoint, not so shocking) results. The graphic pulls information from a variety of sources, including eMarketer, The Huffington Post and Gartner, and plots the average number of hours spent each day looking at a laptop/desktop, smartphone/tablet, TV, and "other". It shows that while the television is still hugely popular, computer use overtook it last year, and smartphones and tablets are rising fast. Almost 50 percent of screen time is devoted to entertainment, with streaming video viewership growing by 50 percent last year. 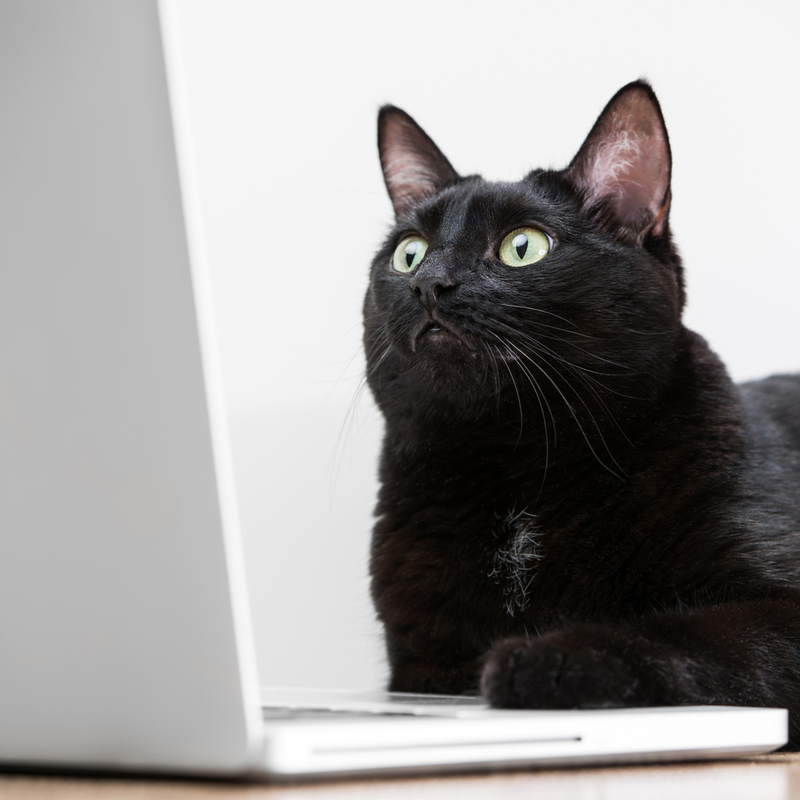 51 percent of Americans say they watch at least one streaming video a week. 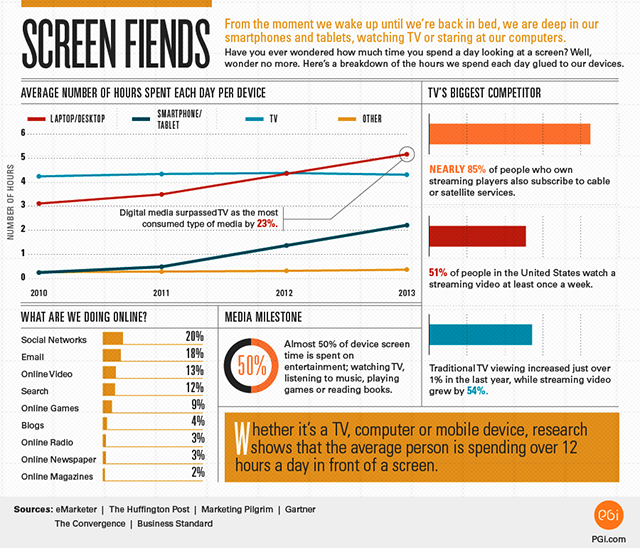 The Screen Fiends infographic also breaks down what we’re doing online, with social networking (20 percent), email (18 percent) and online video (13 percent) accounting for the top three slots. So just how much time do we spend in front of screens? According to the results it’s a staggering 12 hours a day. And if you factor in the eight hours sleep we’re supposed to get, that leaves just four hours a day when we’re using our eyes to look at the world around us. Of course the results likely don’t take into account that we’re frequently looking at tablets or mobiles at the same time as watching TV -- meaning it would be wrong to simply add up the time on each device to come up with a grand total -- but even so most of us now spend more time staring at screens than we do sleeping. Do you think you spend 12 hours a day looking at screens? Is it more/less? Reveal all in the comments below.